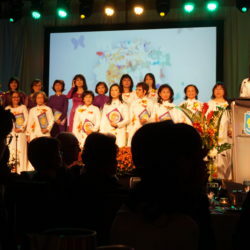 Senator Ngo was invited to attend the biannual Gia Long Girls’ School World Gala Congress held in Montreal as a special guest speaker with former teachers and students of the school. He also met with members of the Vietnamese Montreal community to discuss their concerns about the environmental disaster and its consequences to the Vietnamese people caused by an oil spill by the Taiwanese company Formosa. For more pictures, please click here. 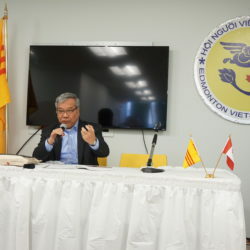 Senator Ngo held a town hall meeting with the Edmonton Vietnamese community to discuss current bills as well as concerns of the community. Senator Ngo also attended the Edmonton Viets Association’s Mid-Autumn Festival which is an ancient celebration of Vietnamese culture to give thanks for the harvest and the prosperity of life. For more pictures, please click here. Senator Ngo was invited to speak at the Fourth Annual Gala hosted by the Vietnamese Golden Age Village for the Elderly in Ontario as the keynote speaker. He also met with leaders from VOICE Canada to discuss current refugee cases. For more pictures, please click here. 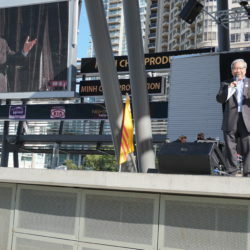 Senator Ngo was invited to attend the first Viet Summer Festival celebration in Mississauga as the special guest, with hundreds of Vietnamese-Canadians to celebrate Canada’s 150th anniversary. 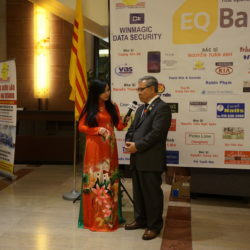 Senator Ngo was also invited as the keynote speaker at a Human Rights and Democracy gala hosted by the Committee to Support Vietnam’s Human Rights and Democracy Movement, Toronto. For more pictures, please click here.